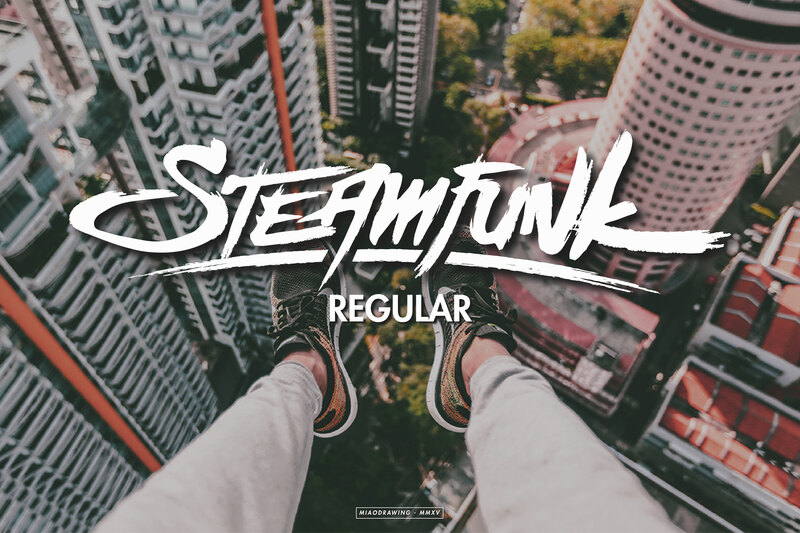 Steamfunk is rough hand painted typeface created and published by Miao Drawing, a graphic designer, freelance illustrator and character designer from Bandung, Indonesia. Designed to look messy, rough, strong and grungy, Steamfunk is very suitable for poster, logos, clothing, print or digital ads, logos etc. Get funky with Steamfunk! A font description published on Friday, March 18th, 2016 in Fonts, Miao Drawing by Andrei that has 2,621 views.